Pensive Pachyderm, originally uploaded by Thomas Gehrke. 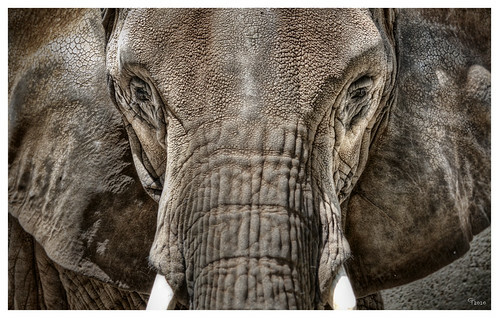 I really love the texture and coloring on this elephant I photographed at the Memphis Zoo this past year. So when processing the image, I really wanted to bring out the roughness of skin and gradation of color. I used Photomatix, Topaz Adjust and several adjustment layers in Photoshop to come up with the final image.